U:Genius3 - from switch-on to perfect image at a touch. 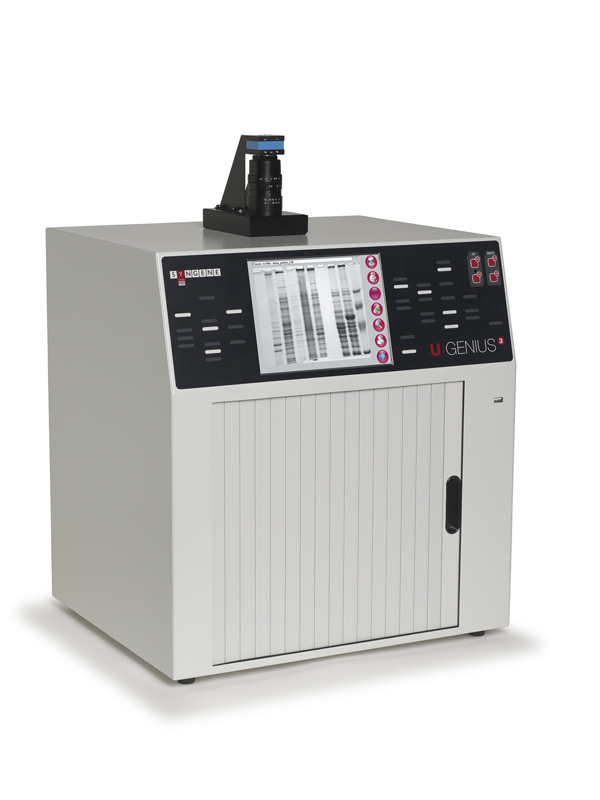 U:Genius3 is the perfect choice for low budget gel documentation and analysis fluorescence applications. 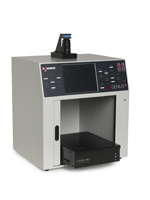 It features a compact darkroom which has a sliding front door and an internal LED white light. U:Genius3 has a 3m pixel camera. A manual zoom lens and manual filter drawer (includes a UV filter) completes the package. 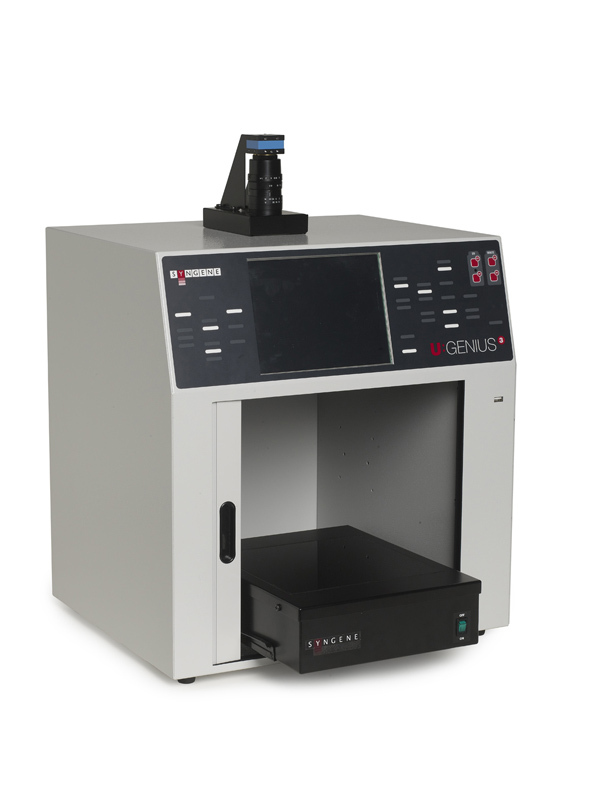 U:Genius3 is also available with a motor driven lens (U:Genius3 EZ). 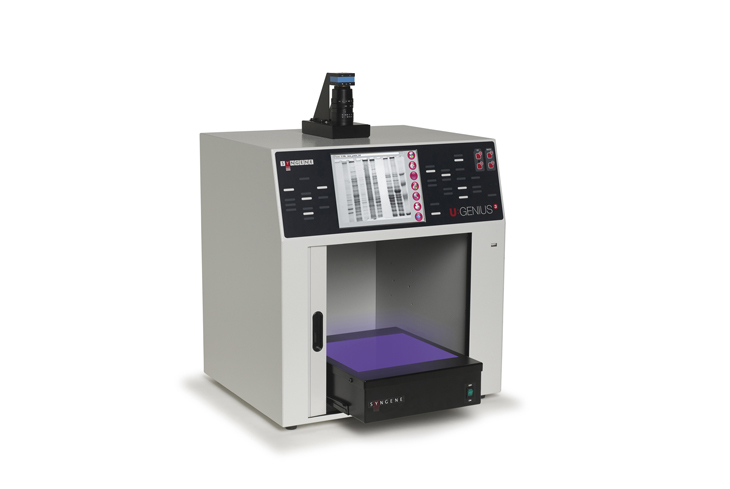 There are two options of transilluminator - both models can slide out of the darkroom to aid cutting and viewing. One option is the slimline 302nm transilluminator for UV applications. 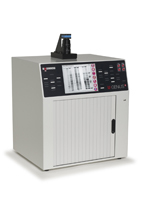 This can be used with an optional converter for white light applications. U:Genius3 can also be used with the Ultra-Slim LED blue light transilluminator. 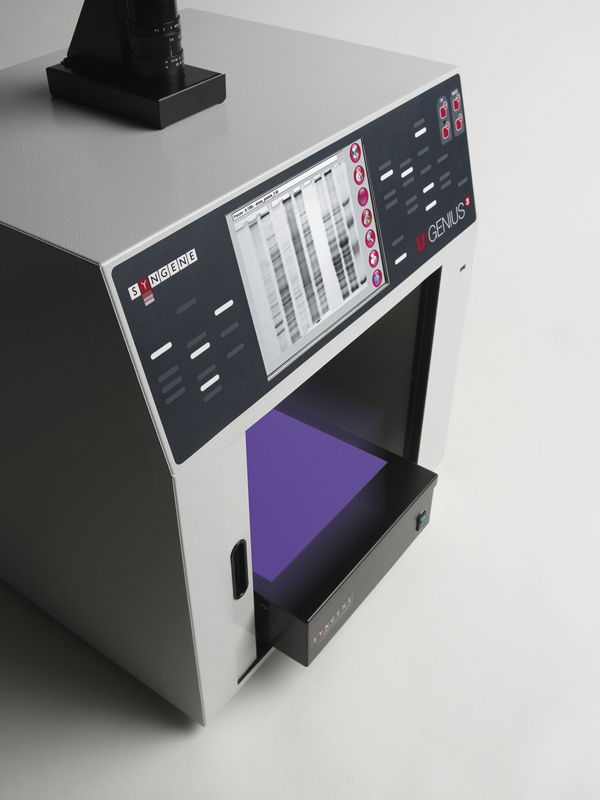 Compact The U:Genius3 has a compact darkroom taking up very little room on the laboratory bench. High specification The system features a high resolution camera with 3 million pixels. It has a manually operated zoom lens and a filter drawer system which accepts interchangeable filters for a wide range of applications. Motor driven zoom lens option U:Genius3 is now available in a fully automated version with the inclusion of a motor driven zoom lens which replaces the manual type. Built in processor An integral computer running embedded Windows controls the system using the larger touch panel display. 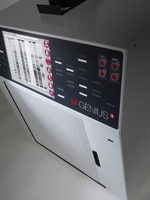 U:Genius3 software The intuitive 'button controlled' software is simple to use. Camera and exposure control is via the touch screen. It is also possible to make image enhancements and annotations from the touch screen. Saving Images can be saved on memory stick in TIFF, BMP or JPEG format. Network connection is also possible. Darkroom with epi LED's white lights, filter drawer and UV filter. Integral computer so no PC required. Large 8.7 inch Touch screen monitor for system control. Supplied with 4 copies of GeneTools. Transilluminator and/or converter not supplied please select required source from list below. 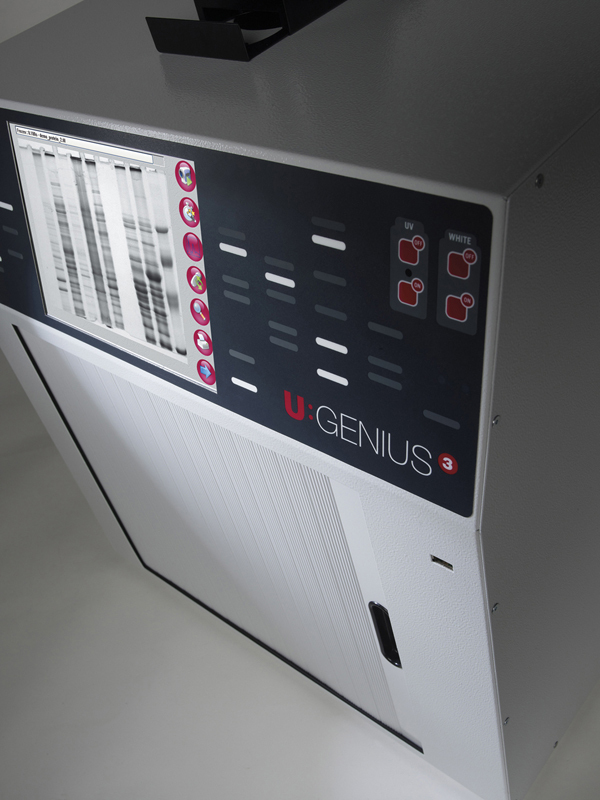 Included in every UGenius is an integral white LED EPI lighting system for the viewing of visible light blots, sample positioning and when imaging colorimetric markers on Western blots.